As phone makers start to look at launching 5G phones, Verizon just announced that it will launch residential 5G in four markets (Houston, Los Angeles, Sacramento and Indianapolis) this year. On the phone front, Lenovo claims it will be the first smartphone maker to launch a 5G smartphone, with Qualcomm’s new chipset, though not likely until near the end of this year. Verizon is offering free Apple TV 4K or YouTube TV as part of its 5G residential broadband in the four markets. YouTube TV includes cable-free live TV with more than 60 networks, including CBS, Fox, ABC, NBC and cable networks including TBS, ESPN, AMC and TNT. Movies from iTunes, Netflix and Prime Video also will be available and YouTube TV includes a cloud DVR with no storage limits. The carrier is heading to be the first wireless technology provider to roll out 5G residential broadband service and 5G mobile service in the U.S. Verizon’s 5G network is roughly 50 times faster than current 4G capabilities. AT&T also has said it will be rolling out its 5G network in the U.S. later this year. 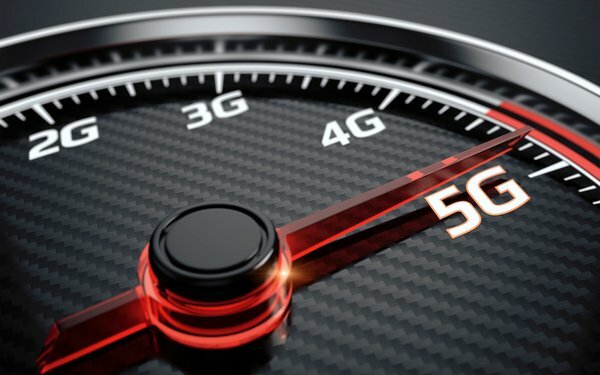 Because of its speed, 5G is also expected to give a boost to augmented and virtual reality, connected vehicles and the collection of connected devices within the Internet of Things. No pricing for the new speeds and services they power has been made available.